For the residencies at Prescott Elementary, the Lincoln Arts Council teamed up with ArtFX Screen Printing & Embroidery to create drawstring cinch bags filled with art supplies to give to the children who participated in the artist residency programs. 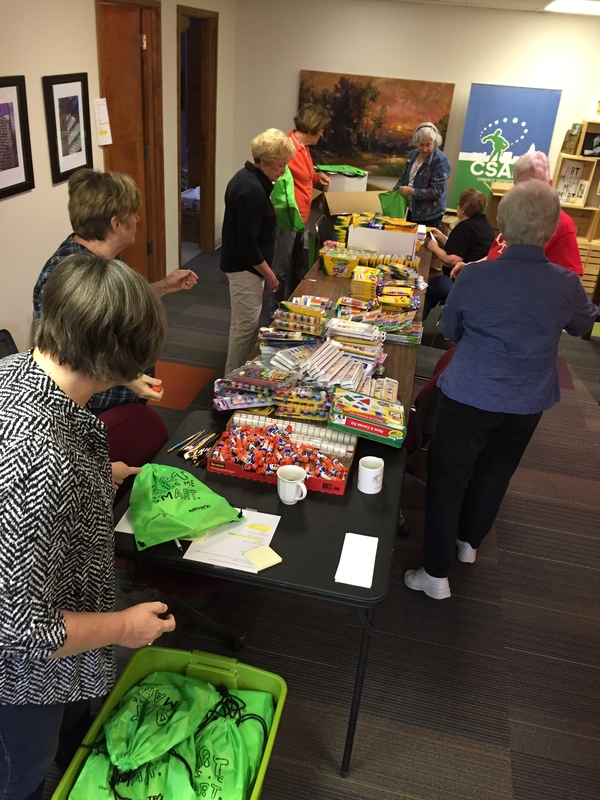 With the help of the Heritage League Women's Club, the bright green bags were filled with various art supplies, including: paint, notepads, crayons, colored pencils, pencil sharpeners, or markers. 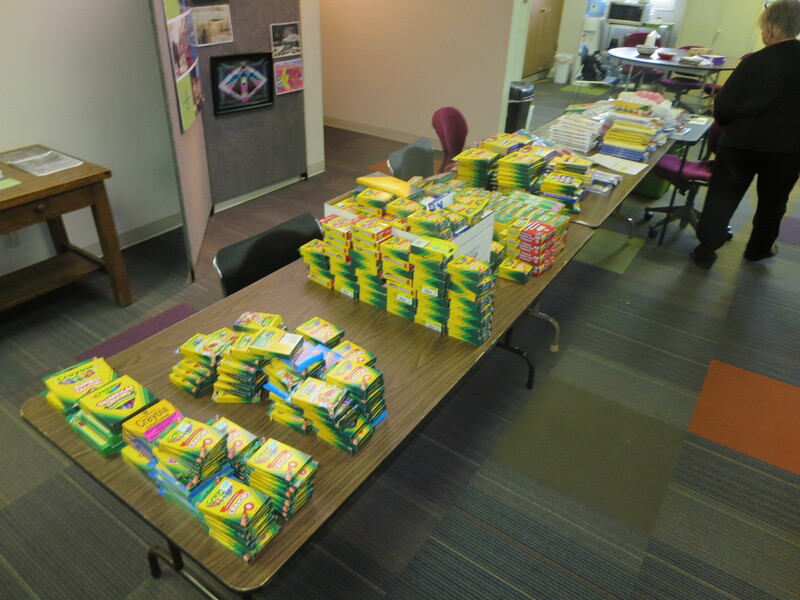 These bags were then distributed to the Kindergarten, First, Second, and Fifth Grade classes at Prescott during their last week of school for them to take home for the summer.  As Prescott is considered a low-income school, the Lincoln Arts Council hopes that they will provide children without personal art supplies an opportunity to continue creating their wonderful, beautiful art at home in the summer months! 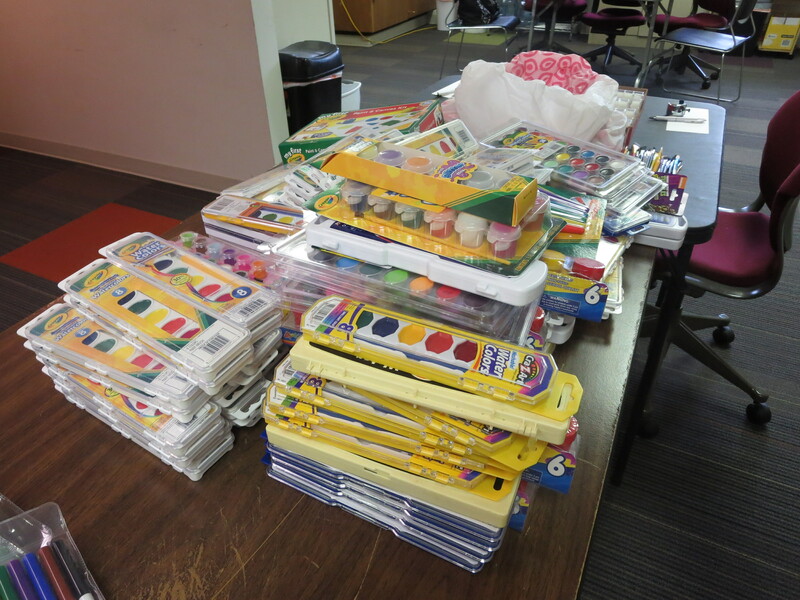 Thank you to the local businesses and sponsors for donating art supplies and funding for the cinch bags - we couldn't have done it without you!